By Ryan Whitwam on March 5, 2018 at 12:31 a.m. When a regular key switch is just too wimpy, there are Big Switches. 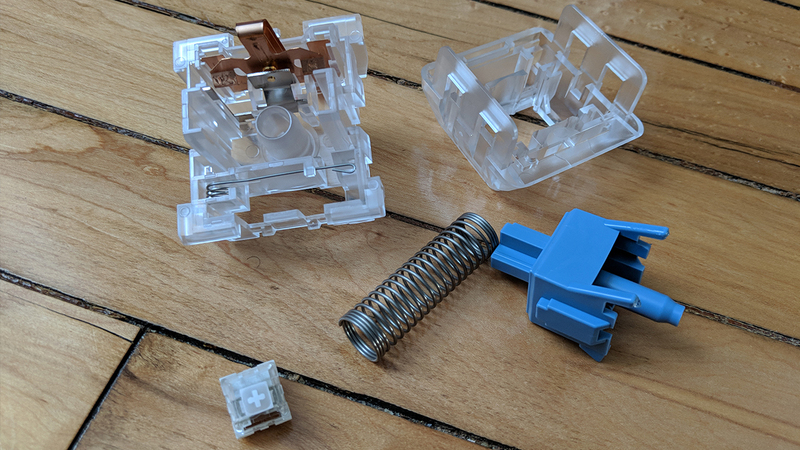 Most of today's keyboard switches have standardized on a Cherry MX-style housing, even those that have different internal designs. That's just easier when it comes to designing keyboards. However, the NovelKeys x Kailh Big Switches are not intended to be used in a keyboard. These are custom keyboard switches that have been scaled up by four times. Not only do they look awesome on your desk, they're a great way to learn about how switches work inside. 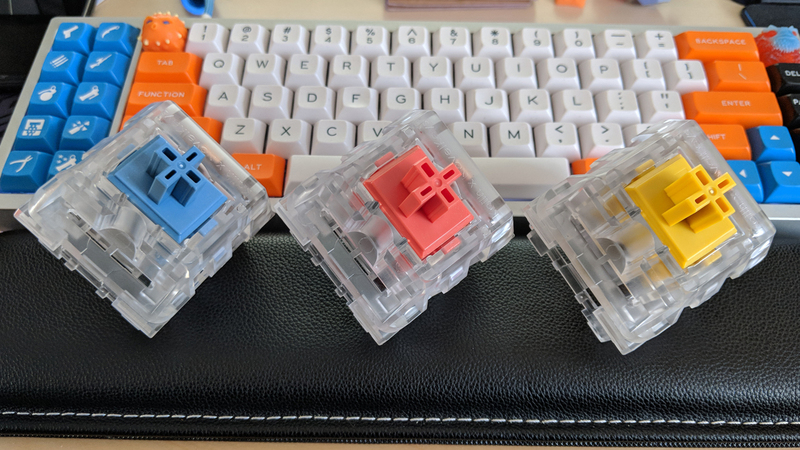 When I say these are scaled up switches, that's exactly what I mean—the Big Switches are not models of Kailh's regular small switches. These are completely functional switches that are just really, really big. If you hand-wired them up to a controller, you could use them like a regular switch. In fact, Razer used the NovelKeys x Kailh Big Switches at CES to build a giant novelty gaming keyboard. As the name implies, the Big Switches are a collaboration between retailer NovelKeys and switch maker Kailh. They come in three versions, all of which are loosely based on the customized regular switches produced for NovelKeys by Kailh. 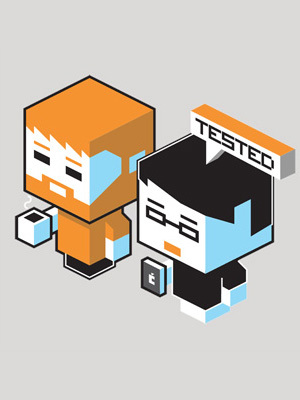 There are pale blue, burnt orange, and dark yellow versions. The dark yellow switch is linear, so there's no tactile bump or click. The burnt orange is tactile, so there's a bump as you press it down. The pale blue is clicky, so there's a loud double click as you press and release. The cool thing is you can open the housings of these switches like you would a smaller switch. It's a little tricky because the plastic is thicker and thus you need more force to undo the clips. A pale blue Big Switch disassembled next to a regular switch. When open, you can see how the different switch types vary and what gives them their unique qualities. For example, you can see in the above image (note the regular switch for size comparison) that the pale blue has a smooth stem (no bump) and a clickbar across the switch housing. This is my favorite Big Switch color because the clickbar is a super-innovative idea, but it's hard to see how it works in the regular small switches. As you push the stem down, the bar bends down, then snaps back up and makes a loud click as it hits the stop in the housing. Release the stem, and the click bar is pushed outward until it snaps back and hits the housing. This produces a lower-sounding click. Each switch comes with a giant novelty keycaps (MX style) in a matching color, but I think they look cooler without the keycaps attached. They retail for $30 each. If you're going to get these as desk toys, be aware they're all pretty loud because of spring noise. At four times larger than a regular switch spring, that should not come as a surprise.